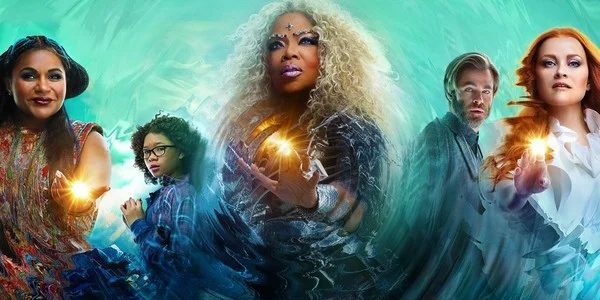 In anticipation of Disney’s latest live-action masterpiece, we attended an advance screening of A Wrinkle in Time to give you the lowdown on this incredible adventure. The film is directed by Ava DuVernay (who is becomes the first woman of colour to direct a $100+ million budget film) from a screenplay by Jennifer Lee and Jeff Stockwell and brought to life with an all-star cast. 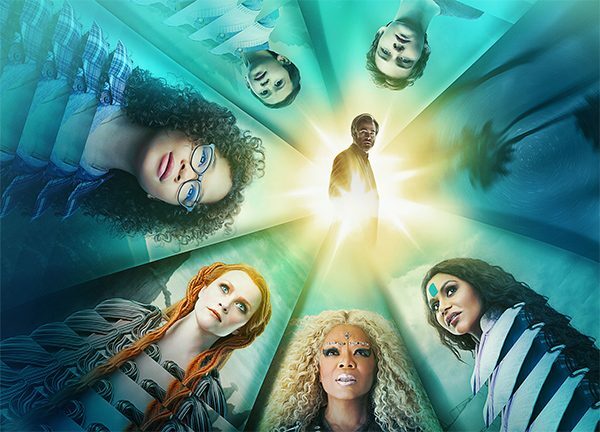 Based on the 1962 children’s science fiction classic of the same name by Madeleine L’Engle, we learn that, since her father went missing four years prior, young Meg Murry (Storm Reid) is having troubles at school with bullying and self-worth. With the help of three astral travelers, Mrs. Which (Oprah Winfrey), Mrs. Whatsit (Reese Witherspoon), and Mrs. Who (Mindy Kaling), Meg, together with her highly intelligent younger brother, Charles Wallace (Deric McCabe) and their friend Calvin O’Keefe (Levi Miller), travel through space and time to rescue her missing father, astrophysicist, Dr. Alex Murry. With themes such as good versus evil, light versus darkness, and acceptance of one’s faults, Meg and her brother must travel to Camazotz, a planet filled with evil, and face their own inner demons in order to find the light. Meg discovers she has the one thing the evil ‘IT’ does not have; so, she must learn to wield it to save her brother from the darkness and eventually return to Earth to reunite with her family. Whimsical–A major theme of this film is the acceptance of one’s faults and the celebration of one’s individuality. Everything from Meg’s experience at school to the behavior of the three astral travelers, to Charles Wallace, is ‘odd’. Remarkable costumes and outstanding scenes reflect the beauty of all things unusual and take us through a journey in search of the light. Luminous–Another major theme is the light illuminating the darkness, both literally and figuratively. As a warrior of light, Meg has to find her own light before she can rescue others from the darkness. Family–The ultimate source of light, where the right ‘frequency’ in the universe can be found, is through love. Meg and Charles Wallace work together to break through the darkness with love and light. And a special bonus…we interviewed one of the young stars, Deric McCabe. He’s adorable, check it out.